Ski and Golf in the Same Day! Albuquerque&apos;s unsurpassed beauty, world-class accommodations and attractions make it a must visit city. The city&apos;s uniqueness is reflected in the culture, traditions, food, music, art, dress and attitude. Albuquerque is also a hub for ground breaking high tech research. We encourage you to learn more about what makes Albuquerque great. We&apos;ve included several story ideas below that we hope will assist you in learning more about our city, but we are also available to help you develop your own unique and interesting story ideas tailored to your specific publication or story. Contact our PR team at media@visitalbuquerque.org. Albuquerque, New Mexico&apos;s largest city, was named to honor a Spanish Duke, the 10th Duke of Alburquerque. Colonial Governor Don Francisco Cuervo y Valdez elected the name, but over the centuries the first "r" has been dropped. In 1706, Albuquerque was founded by a group of colonists who had been granted permission by King Philip of Spain to establish a new villa (city) on the banks of the Rio Grande (which means “big” or “great river”). The colonists chose a place along the river where it made a wide curve providing good irrigation for crops, a source of wood from the bosque (cottonwoods, willows and olive trees) and nearby mountains. The site also provided protection and trade with the Indians from the pueblos in the area. The early Spanish settlers were religious people, and the first building erected was a small adobe chapel. Its plaza was surrounded by small adobe homes, clustered close together for mutual protection against any threats posed by hostile forces in this vast and dangerous country. The church, San Felipe de Neri, was originally located across the street and rebuilt in its current location in 1793 after the original building collapsed due to rain. The building itself has been enlarged several times and remodeled, but its original thick adobe walls are still intact. The church is the hub of Old Town, the historic and sentimental heart of Albuquerque, with activity revolving around shopping and dining. To this day, special holidays and feast days are still commemorated as part of the year-round attractions of this "original" Albuquerque. Albuquerque stands with one foot in the past, one foot in the present and both eyes on the future. Home to some of the nation&apos;s finest high-tech research facilities, Sandia National Laboratory, Phillips Laboratory, and the University of New Mexico, Albuquerque is leading the way in technology transfer. Civilian application of military technology has provided the spark for many an entrepreneur and led to a technological boom. Albuquerque continues to set the pace for success in the Southwest as a visitor destination and a great place to live. The city celebrated its Tricentennial (300th birthday) in 2006. Albuquerque has been called one of the most culturally diverse cities in the United States, as people from almost every ethnicity and background call Albuquerque home. The city is influenced by cultures from around the world. These cultures make up an eclectic array of restaurants, art galleries, museums, festivals and attractions throughout the area. Visitors to Albuquerque can learn more about the Hispanic and Native American cultures by visiting the cultural centers. Hispanic people are the largest single ethnic group in New Mexico. The Hispanic influence is visible in architecture, art, music, clothing and cuisine. Many place names, as well as family names, are in Spanish.To learn more about the area&apos;s Hispanic culture visit the National Hispanic Cultural Center of New Mexico. For more information call 505.246.2261 or visit www.nhccnm.org. New Mexico is home to 19 Indian Pueblos- Acoma, Cochiti, Isleta, Jemez, Laguna, Nambe, Picuris, Pojoaque, Sandia, San Felipe, San lldefonso, San Juan, Santa Ana, Santa Clara, Santo Domingo, Taos, Tesuque, Zia and Zuni. Most are within an hour&apos;s drive of the city and some pueblos welcome visitors. There are three reservations located in New Mexico: the Navajo Reservation, Jicarilla Apache Reservation and the Mescalero Apache Reservation. If you are interested in finding out more about the Indians of New Mexico, visit www.visitalbuquerque.org/visitors/americanindian or visit the Indian Pueblo Cultural Center site at www.indianpueblo.org. The cultural center has a museum and gallery that provide a glimpse of Native American life in New Mexico. The center is a must-see before visiting a local pueblo. The arts in Albuquerque are locally supported and world-renowned. From fine to classical to avant-garde, our city is thriving with arts. Albuquerque was voted one of the top 25 arts destinations by AmericanStyle magazine. Albuquerque has an abundance to offer anyone seeking artistic cultural opportunities or experiences. The city is proud of its symphony orchestra, contemporary and classic theater companies, choral, and opera companies. 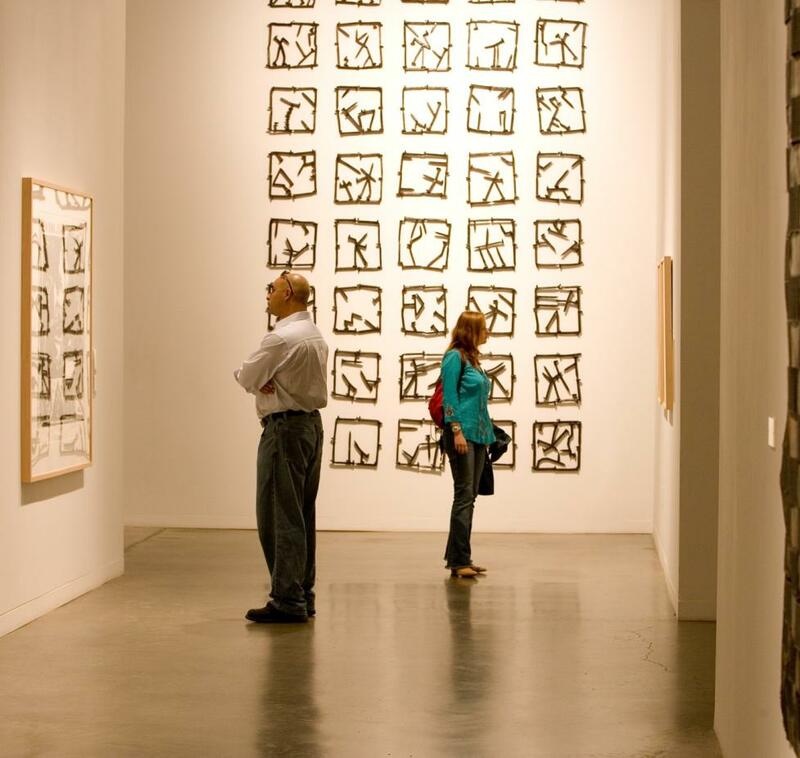 Albuquerque is also home to more than 100 galleries and studios offering visitors a choice of art styles and expressions. Local galleries host a monthly gallery tour called ArtsCrawl, a community event for novices and seasoned collectors at exhibition openings. Albuquerque has more than 19 unique museums which explore a variety of subjects including Albuquerque history, Indian and Hispanic culture, art, natural history and much more. Unique museums in the Albuquerque area focus on subjects such as turquoise, rattlesnakes, hot air ballooning, the atomic bomb and atomic energy, a fun collection of trinkets and miniature collectibles, and much, much more! Learn more about our museums. The Albuquerque International Balloon Fiesta® began modestly as a small gathering of 13 balloons in 1972, but over the years has grown to become hands-down the largest balloon event in the world. Held each year during the first week in October, the Balloon Fiesta brings more than 500 balloons, over 1,000 pilots and tens of thousands of spectators to the city. For more information about the Albuquerque International Balloon Fiesta® visit www.balloonfiesta.com. The City of Albuquerque&apos;s Public Art Program is one of the oldest in the country. The program began in 1978, with the passage of a Percent for Art ordinance. This set aside 1% of city construction funds derived from the general obligation bond program and certain revenue bonds for the commission of works of art. The Albuquerque Public Art Collection contains more than 400 works of art. For more information on Albuquerque&apos;s public art program or to obtain a map/brochure listing the city&apos;s public art sites which include sculpture, photography, tile work, tapestries, murals, stained glass and paintings visit www.cabq.gov/publicart. Albuquerque&apos;s roads lead to some of the most breathtaking scenery and attractions in New Mexico. The Sandia Mountains are a dramatic backdrop for the city. 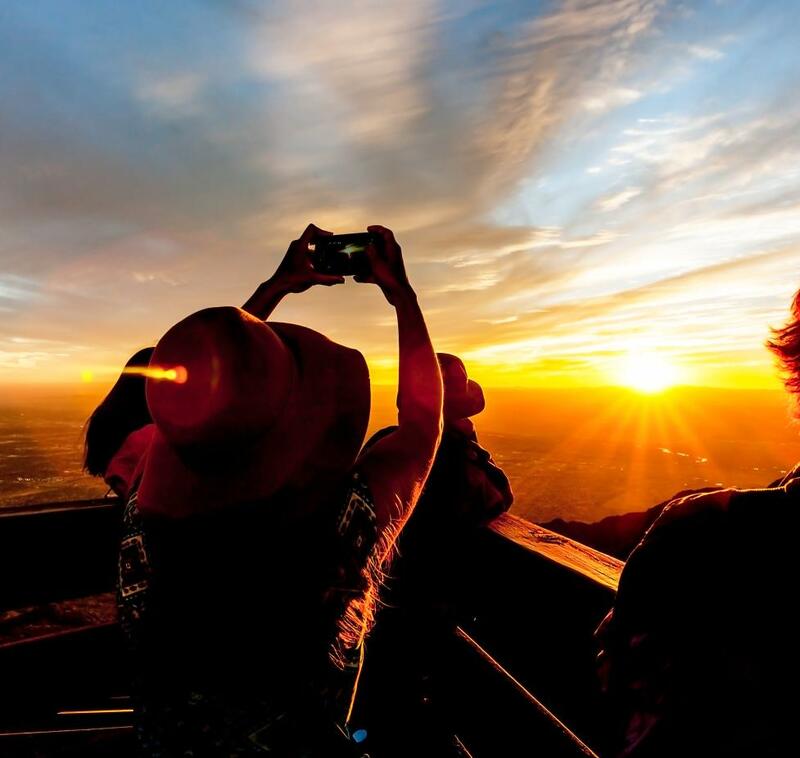 Take the Sandia Peak Aerial Tramway for breathtaking views of the city or to watch the sunset or sunrise. Albuquerque also offers great trails like the Paseo Del Bosque Trail which was ranked No.1 for top 10 bike trails in Sunset Magazine. 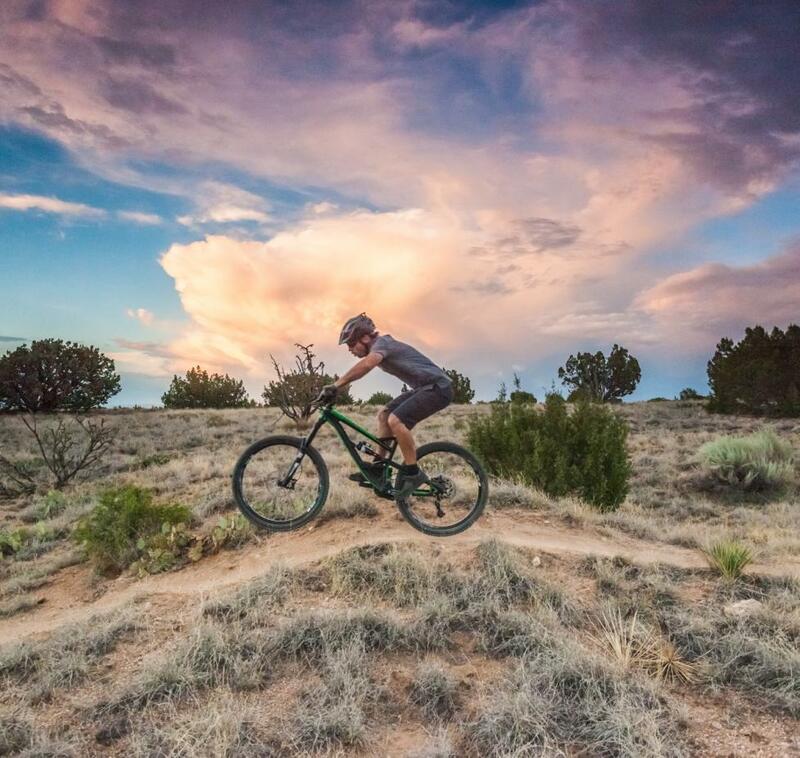 With outdoor recreation opportunities so easily accesible Albuquerque is the perfect place for walking, biking, hiking and more. Whatever you choose to do, you&apos;ll appreciate the city&apos;s scenic beauty - it is simply stunning. Bird watching enthusiasts often “flock” to the Albuquerque area to study some of the country&apos;s most rare and endangered species of birds in their natural habitat. So bring your binoculars, notebook and camera to the Bosque del Apache National Wildlife Refuge, the Petroglyph National Monument or the Sandia and Manzano Mountains to discover the area&apos;s unique feathered friends. The birds that make their home in New Mexico include the great blue heron, the great egret, the turkey vulture, golden eagle, Sandhill cranes, snow geese and more. The Bosque del Apache National Wildlife Refuge is home to more than 340 species of birds located just over an hour south of Albuquerque. Tens of thousands of birds gather at the refuge each autumn and stay through the winter . Ranked as one of the best refuges in the country by the Audubon society, Bosque del Apache is home to the Festival of Cranes , held each November to celebrate the return of the Sandhill Cranes to the area. For more information regarding the Festival of Cranes or the Bosque del Apache National Wildlife Refuge , visit http://southwest.fws.gov/refuges/newmex/bosque/. 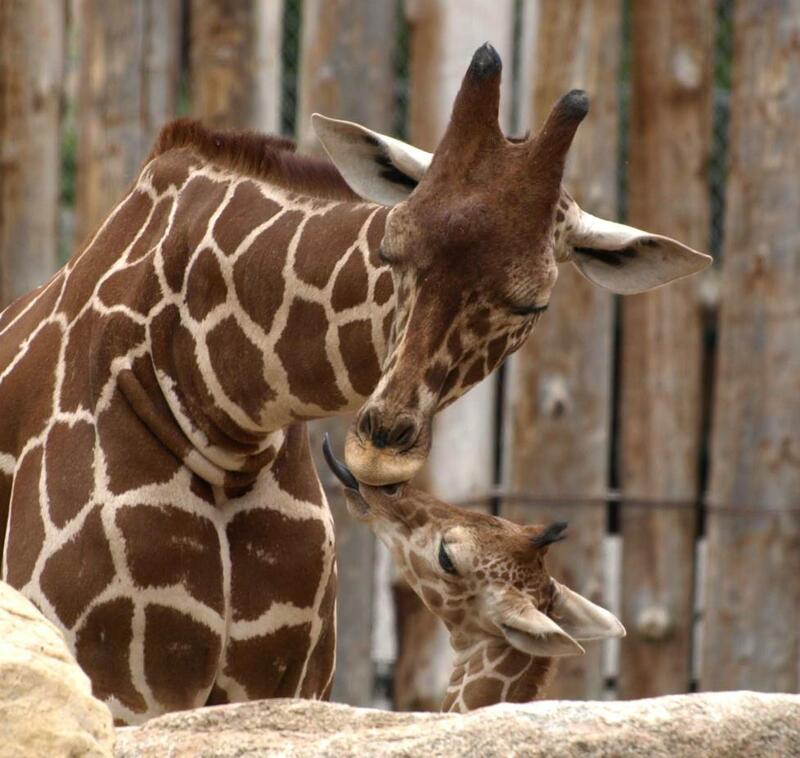 Albuquerque BioPark Zoo – Offers visitors more than 1,000 animals including such animals as the Victorian Koalas, the endangered Mexican wolf and naked mole rats. Visit www.cabq.gov/biopark/zoo/. Albuquerque BioPark Aquarium – Experience the marine habitats of the Gulf of Mexico, complete with a 285,000 gallon shark tank. Visit www.cabq.gov/biopark/aquarium/. Albuquerque BioPark Botanical Gardens – A state-of-the-art glass conservatory filters heat producing UV rays and blooms year round - with xeric species in the Desert Pavilion and aromatic species in the Mediterranean Pavilion. You also won&apos;t want to miss the Children&apos;s Fantasy Garden complete with a 14-foot high topiary dragon that guards the castle gates; visitors get a larger-than-life perspective of plants, gardening and horticulture. In the warmer months, the PNM Butterfly Pavillion is home to a conservatory with several hundred North American butterflies and thousands of nectar plants. The BioPark opened a Heritage Farm in September 2004 complete with agricultural crops and farm animals native to the 1920s and 1930s in the Rio Grande Valley. Visit www.cabq.gov/biopark/garden. Sandia Peak Aerial Tramway – The world&apos;s longest of its kind. The 15-minute trip up the Sandia Mountain will bring you to a breathtaking view of the Albuquerque skyline. Visit www.sandiapeak.com. Explora The all-ages interactive museum offers more than 250 exhibits encouraging you to keep your hands on the exhibits. Visit www.explora.mus.nm.us. New Mexico Museum of Natural History and Science – Featuring astronomy, the Ice Age, the age of volcanoes, the seacoasts of New Mexico, origins and a huge IMAX-style Dynatheatre. Visit www.nmnaturalhistory.org. Albuquerque is a family fun destination! The kids won&apos;t be the only ones asking, "Are we there yet?" Driving down Albuquerque&apos;s well-preserved, 18-mile historic stretch of Route 66 will give you a taste of America&apos;s original “Main Street.” Albuquerque&apos;s Central Avenue follows the path of Route 66 and will bring you back into the days of neon decorating roadside motels and gas stations. Route 66 was the nation&apos;s first “interstate” built in 1926 and ran for more than 2,400 miles between Chicago and Santa Monica. Today New Mexico has the longest intact stretch of the historic highway and the largest inventory of relevant roadside architecture. New Mexico&apos;s portion of the route is part of a national scenic and historic byway. Route 66 was originally marked by roadside mom and pop businesses – gas stations, motels, kitchy attractions, restaurants and small cafes, where they offered gas, food and lodging in one stop. Many of these favorites still exist. While cruising the strip, check out some of Albuquerque&apos;s Route 66 attractions including the Historic Nob Hill district, a residential and commercial district made up of art deco style buildings housing boutiques, art galleries and restaurants. The University of New Mexico , founded in 1889, is the state&apos;s largest university, which features Pueblo Revival architecture, relaxing ponds, gardens and several museums. The District, Albuquerque&apos;s downtown area, has restaurants, upscale retail shops, a 14-screen movie theater and dynamic arts and music scenes. Alvarado Transportation Center, built on the grounds and in the style of the majestic Alvarado Hotel, is the center for Albuquerque&apos;s ground transportation. The Crossroads Mall commemorates the crossroads of Route 66 and US Highway 85. The KiMo Theatre (1927) Pueblo deco and Art Gallery , which recently underwent extensive renovation, was originally built to house vaudeville acts. Historic Old Town, the center of the original Villa of Albuquerque, Old Town&apos;s quaint streets now house a variety of Southwestern shops, restaurants and art galleries. America&apos;s most infamous highway continues to be treasured by visitors from around the world. You don&apos;t want to miss this feel of true 1950s nostalgia. Learn more. Albuquerque has an abundance of culinary choices for every palette and pocketbook. 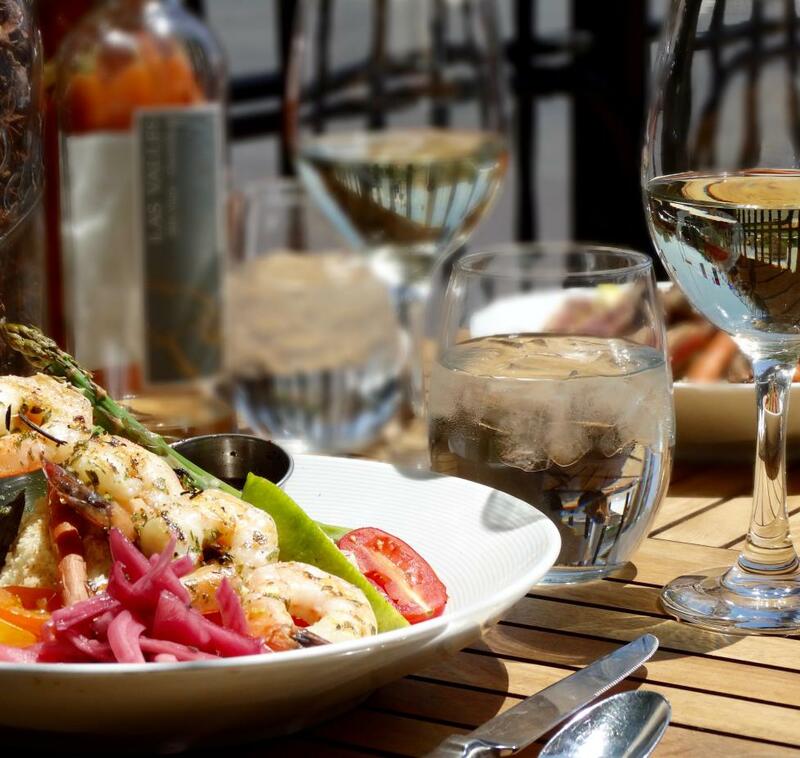 Albuquerque offers thousands of dining options from the quaint and casual atmosphere to the elegant ambiance of one of our finer restaurants – the choices are limitless! Albuquerque&apos;s ethnic restaurants are plentiful and range from Native American to Italian to Mexican to Mediterranean to Asian to American and are sure to include all your favorites. While dining in Albuquerque you&apos;ll experience the flavors of the Southwest with traditional New Mexican food and our famous red and green chile. When you eat in a New Mexican restaurant you&apos;ll be asked “Red, Green or Christmas?” What the server is asking is if you would like red or green chile on your dish or a combination, called “Christmas.” Locals tend to put chile on any dish whether it is hot or cold – it is served with breakfast, lunch and dinner. Albuquerque is not only known for its food, but for its wine as well. There are several wineries in the Albuquerque area. The high desert climate and soil are ideal conditions for New Mexico&apos;s award-winning favorites including Cabernet Sauvignon, Chardonnay, Johannisburg Riesling, Merlot, Pinot Noir, Sauvignon Blanc and Zinfandel. New Mexico is considered to be one of the oldest wine producing regions in the Americas. It is believed that the first grapevines planted in New Mexico were brought in 1629 to Senecu, a Piro Indian pueblo south of Socorro, by Fray Gracia de Zuniga, a Franciscan, and Antonio de Arteaga, a Capuchin monk. Albuquerque offers many affordable attractions, outdoor recreation, shopping, lodging and cuisine and much more. No matter the pleasure, Albuquerque can be the perfect affordable vacation for the family or a quick weekend getaway. Stroll through the Old Town Plaza. The Sandia and Manzano Mountains are crisscrossed with hiking, walking and biking trails. Visit one of the many museums. Take the scenic drive along the Turquoise Trail National Scenic Byway. Visit Albuquerque: An affordable destination! Albuquerque&apos;s great weather allows you to skiing down the slopes and then golf all afternoon with 310 days of sunshine per year. Sandia Peak Ski Area offers some of the longest cruising terrain available in New Mexico. With great weather and picturesque scenery golfing in Albuquerque couldn&apos;t get better. The city is home to some nationally ranked golf courses including Championship Golf Course at University of New Mexico (UNM) and Paa-Ko Ridge Golf Club. In addition to great golfing, Albuquerque is also home to some world-renowned Resorts including the Hyatt Tamaya Resort & Spa. Get away with your girlfriends or your special someone and relax at one of the many luxurious spas around the city. Whether it be for fun or a romantic getaway, Albuquerque has something for everyone. The glowing brown sacks that adorn Albuquerque walkways, churches and homes each holiday season are called luminarias and date back more than 300 years. The New Mexican tradition began when the Spanish villages along the Rio Grande displayed the unique and easy to make Christmas lanterns, called luminarias to welcome the Christ child into the world. A traditional luminaria is a brown paper bag, which has been folded at the top, filled will a couple cups of sand and a votive candle. If you visit Albuquerque in December, you&apos;ll experience the Old Town Plaza&apos;s annual Luminaria Tour where hundreds of people walk into the cool night and wander through the golden glow of more than a thousand twinkling paper lanterns. Luminaries have not always been made out of paper bags, the early versions were actually small bonfires of crisscrossed piñon branches which were built in three-foot high squares. When colored paper was brought over from the Orient years later, luminarias became what they are today. Instead of making lanterns that would hang in a tree or from a roof, which would become damaged by the wind, small bags were made and placed on the ground, rooftops and along pathways.